A Bump in Tourism, Maybe, But Fallout 76 Could Do So Much More for W.Va.
There’s no question Fallout 76 is a beautiful game. Bethesda Game Studios, the maker of the Fallout series, captured the incredible landscape and breathtaking views of the Mountain State in a way that illustrates exactly why we call West Virginia “Almost Heaven.” Dozens of local attractions are featured in the game encouraging players to explore landmarks like the Mothman Museum in Point Pleasant, Trans Allegheny Lunatic Asylum in Weston and Camden Park near Huntington. Social media and Fallout forums are filled with pictures players have taken in game from virtual tours of the state. 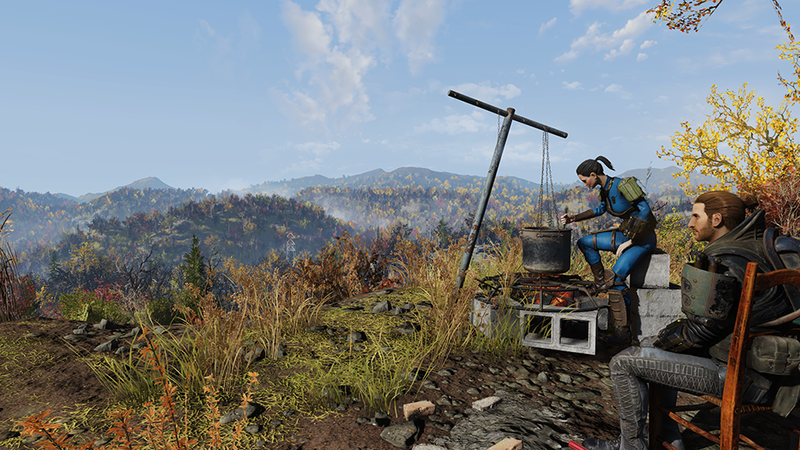 In fact, one of the first updates Bethesda made to Fallout 76 after its release in December was to modify their server rules because players were repeatedly building on favorite locations that offered the best views of Appalachia. But years from now, what will the legacy of Fallout 76 be for West Virginia? Will it have a lasting positive impact on the state and Appalachia as a whole? Or will it be one more in a long list of outside companies profiting off our resources, this time in the digital age? Tourism appears to be the popular choice for where we can look for a potential impact from the game set in West Virginia. If even 1 percent of Fallout 76’s players chose to actually visit after playing the game, it could mean an additional 100,000 or more tourists visiting the state. According to the West Virginia Tourism Office’s 2017 annual report, there were nearly 16 million overnight visitors to the state that year. A few hundred thousand more is barely noticeable on the state level, but locally, even 10,000 visitors to a small-town festival or attraction could have a huge impact. This past summer, Bethesda teamed up with the Mothman Festival in Point Pleasant, West Virginia, to draw in more visitors by releasing new Fallout and Mothman merchandise at the annual street fair and creating some hype around the game’s then-upcoming release. Now, other smaller events and locations featured in Fallout 76, such as the Pumpkin House in Kenova– a historic home covered in thousands of jack-o-lanterns– or the tiny Swiss-German mountain village of Helvetia in Randolph County, could see a more noticeable impact from visiting gamers, even if it makes little difference in state totals overall. Fortunately, Fallout 76 does a good job of highlighting several smaller locations and attractions around the state. Even the popular hole-in-the-wall restaurant Hillbilly Hotdogs in Lesage makes an appearance. Whether or not that will happen is the question, though. According to the state Tourism Office, 86 percent of visitors to West Virginia return, which is an excellent retention rate, but nearly half of those are visiting family. Historically, West Virginia does not do a good job attracting out-of-state tourists who don’t already have ties here. What do we offer gamers that would entice them to vacation here? What are they looking for? With the state’s lack of broadband access, it’s difficult for some local gamers to play Fallout 76. Will out-of-state gamers be interested in traveling here if they can’t play online or stream while on vacation? That doesn’t seem likely, yet this campaign is clearly targeting gamers. Do we even know what they want? Maybe. The state Tourism Office has partnered with Bethesda to promote tourism in West Virginia. On paper, the partnership makes sense. A game that showcases the beauty and rich history of West Virginia should be good for attracting visitors. In practice, though, Fallout 76 is struggling and with it, the tourism campaign. The game has had a poor reception since its release and received the lowest critic scores from any game in the Fallout franchise. Numerous gaming magazines and websites cite a multitude of bugs and server issues as the reason for the bad reviews. It should be noted, however, that none of the reviews have had a single bad word to say about West Virginia or its portrayal in the game, though. While official sales numbers haven’t been released yet, some estimates of pre-orders sales are down as much as 75 percent from previous Fallout titles. In short, Fallout 76 isn’t performing well with gamers. As for West Virginia’s Tourism Office, aside from a photo op at Bridge Day and a small gathering on release day, the department has been largely quiet in doing any promotion of Fallout 76. Soon after release, the Tourism Office released an interactive Fallout 76 map developed by Bethesda of real world versions of in game locations to introduce gamers to the real West Virginia, but it was last updated November 14. There were rumors of an event in January but there have been no updates on their website since the game’s release despite promising, “Details on promotional events, exclusive tours, and Vault Boy sightings” would be announced before Christmas. The Random Geek Culture in West Virginia podcast, a member of Pendleton New Media, discusses their unique take on Fallout 76. The “What The Vault” history series from @WhatthevaultWV and @WVMountainMamas on Twitter explores West Virginia historical references. Coseri’s “Before the Bomb” video series creates original and irreverent comedy, including a livestream of Fallout 76 with WSAZ’s Reporter Tim Irr, the lead anchor for the Huntington, West Virginia, NBC station. Unfortunately, the state Tourism Office doesn’t appear to promote any of them. Why not, I’ve no idea. Why miss the chance to promote free, high quality content that further showcases all that West Virginia has to offer? It remains unclear what each side hoped to gain from this partnership, or what either is actively doing to help promote the other, but it appears both are struggling with the same problem: how to appeal to gamers. The West Virginia Tourism Office reports an 8:1 return on investment for advertising dollars, meaning that every dollar spent on tourism advertising produces $8 in state and local tax revenue. Which sounds good considering Fallout 76 is basically one giant free advertisement for West Virginia, but just because Fallout 76 had an estimated $100 million production cost does not automatically mean it will produce $800 million in tax revenue for the state. If no one understands what gamers are looking for, how will we offer it to them and why would they come visit? True, Fallout 76 has the potential to create a brand-new revenue stream for the state in terms of tourism, but only if we take advantage of the opportunity and capitalize on it. So far, that does not appear to be the case. The only tourist to the state so far that can be directly attributed to the actions of either the Tourism Office or Bethesda would be the couple of hundred people that attended the private media event at the Greenbrier Resort this fall. Since then, there have been no holiday announcements or in-game notices regarding tourism relating to Fallout 76 from either organization. If not tourism, then what could the greatest impact be? WVU’s study looks to find out if Fallout 76 will have a similar effect. It’s no secret that West Virginia suffers from negative stereotypes born from sensationalized accounts of mountain living throughout the 19th and early 20th century. From the very beginning of playing Fallout 76, those negative preconceptions of West Virginia are challenged. Survivor stories and journals tell of a people who are intelligent, hardworking and relentless in their efforts to reclaim home. 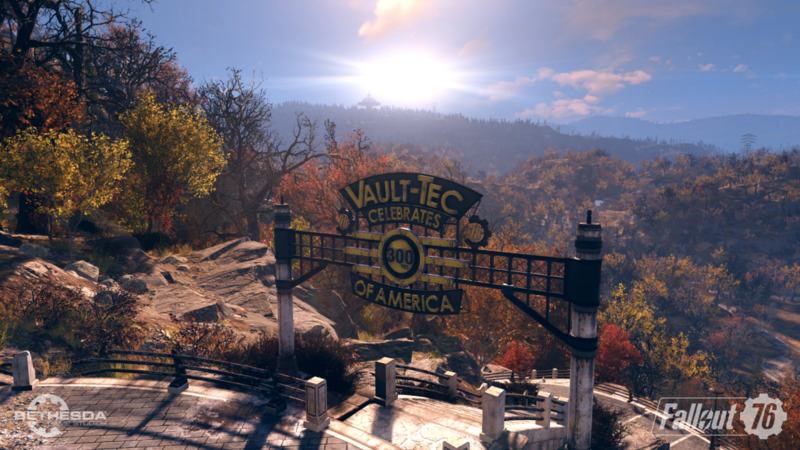 Despite having limited resources and facing numerous difficulties, the surviving population in Fallout 76 attempt to rebuild civilization on a scale that we haven’t seen in other locations in the series. If you’ve ever volunteered to work on disaster recovery following a flood or a storm in West Virginia, the story of Fallout 76 rings true in a way I’m not sure it would in other places. What will happen when millions of players worldwide are exposed to a positive view of West Virginia history, culture, and values? A hundred years later, people still talk about the Hatfields and McCoys. Through discussions in-game and across forums and social media about the state since the release of Fallout 76, what might people think of us five years from now after being exposed to Bethesda’s more positive—and dare I say more accurate—view of the Mountain State? Personally, I love playing Fallout 76, especially with my kids. We explore Charleston, Camden Park, and other locations that they’re familiar with and discussing the history behind the ones they aren’t. Explaining the game’s Ash Heap region and its numerous references to the Mine Wars to my 14-year-old makes West Virginia history real to him in a way reading about it doesn’t quite live up to. Discussing the impact of the 2014 Freedom Industries chemical spill, that resulted in a ban on the use of public drinking water for some 300,000 people in the state, and how it connects to West-Tek experiments in the game on the local population near Huntersville– by releasing the FEV virus into the water supply to create Super Mutants– helps my children see how protecting the environment also protects the people who live there. Every time we play, they keep hoping to find one of several local cryptids, obscure mythological creatures, such as the Flatwoods Monster, the Grafton Monster and especially the infamous Mothman. Playing Fallout 76 with them gives me the opportunity to discuss West Virginia lore with my children in a way nothing else does, and I’ve honestly learned a great deal about West Virginia history myself from exploring Fallout 76. If not for Fallout 76, I’m not sure I would know we had a state fossil, for example, or that the discovery of Megalonyx jeffersonii and its study by Thomas Jefferson gave rise to the study of paleontology in the U.S. Fallout 76 may have an impact on how others view West Virginia, but I think it also has the potential to positively change how we view ourselves. Quite honestly, I’m not certain that the greatest impact of Fallout 76 will be an increase in tourism. I think it will be relocation. As long as we’re making up numbers to estimate the potential impact of Fallout 76, let’s try this one: 1 in 10,000. Fallout 76 highlights the state’s natural beauty, the local culture and some of the benefits of rural life. In 2018, one of the fastest growing employment demographics was remote workers. Gamers naturally tend towards technology and related fields, the most common employers to hire remote workers. What if 1 in 10,000 players decided they preferred waking up in Appalachia, listening to crickets and seeing the stars rather than hearing traffic and smelling smog? Out of millions of players, what if a thousand or two decided to move somewhere that offered outdoor adventure every weekend? Any location in West Virginia is within an hour’s drive of world-class mountain climbing, hiking, white water rafting, hunting or fishing. Any view of West Virginia’s mountains is preferable to never ending concrete. West Virginia has notoriously lost population every year since the 1950s. Imagine what the impact to the local and state economy could be if 1,000 skilled tech workers moved here to work remotely. Just one software developer from Malibu moved to Nicholas County a few years ago and started teaching programming classes while working remotely. Since then, Richwood Scientific has taught dozens if not hundreds of students, and employs several graduates as coders while assisting others in pursuing additional training and employment. The impact that one developer has had on the local economy is invaluable and continues to grow, and he is as fiercely pro-Richwood as any local, perhaps more so. Imagine the impact a thousand more tech workers like him could have on West Virginia. A thousand small tech businesses employing and training local workers? Five hundred? One hundred even? That’s the kind of impact that can be felt in communities across the state for generations to come. I believe in the potential of Fallout 76 to have a lasting impact on West Virginia with improvements to our economy, outside perception, self-image, and yes, tourism, but only if we do the work necessary at the state and local level. At present, I’m unconvinced that work is being done. Millions of players are visiting a virtual version of West Virginia daily, but that’s not enough. We can’t just depend on an outside company to come to the rescue. Much like the Responders in Fallout 76, we must help each other if we want to reclaim West Virginia. Imagine a world devastated by nuclear war. You’re one of a handful of lucky survivors who took shelter before the bombs fell and destroyed civilization as we know it. Your Vault-Tec bomb shelter is well-stocked and secure. You and your fellow survivors could live in the vault for years, decades even. Life goes on in the vault much as it did before. Jobs are assigned, families form, civilization lives on. To pass the time, stories are told of the land that was and will be again. Songs of home and hill are sung with reverence to pass the time and find joy in the toil. Tales of resilience and heroism against impossible odds fuel the imagination. Stories about wild, wonderful West Virginia paint a picture of beauty and life, sorrow and struggle. Children whose entire world is contained within this underground safe haven struggle to imagine a place that’s almost heaven, with hills bathed in glory. Sons and daughters of the mountains learn what it means to be a West Virginian without ever seeing the land they love. In the dark, tales of monsters and unimaginable horror haunt nightmares as well. Years pass this way. Young and old eagerly await “Reclamation Day,” the day the vault doors open, and celebrate its coming every year like the homecoming celebrations of old. Reclamation Day is the day we’ll have a chance to rebuild the world that was lost, a world that lives on in the memories of some and the dreams of others, a day to remember that, no matter the struggle, Mountaineers are always free. If you’re from West Virginia, you can tell that it is remarkably different from other games in the “Fallout” series in one important regard. In the eight other installments in the series, those locked away in these underground fallout shelters view the outside world with suspicion, leaving the safety of their vaults to take on the dangers of the outside world only when forced to do so. But in the trailer for “Fallout 76,” viewers see the remains of a party in one of these vaults– decorated with streamers and balloons, confetti scattered and completely empty. At the first opportunity, every resident of Vault 76 abandoned the safety to return to the home they love, even those who had never experienced it’s beauty before nuclear war. Who but West Virginians would be eager to return to their war-torn world for the chance to rebuild it? Who but sons and daughters of the Mountain State would keep the dreams and stories of what it means to be West Virginian alive for all that time? Who but Mountaineers would celebrate “Reclamation Day” as a homecoming? Without help, working to make the world a better place with nothing but pure grit and Mountain ingenuity. Twenty million players will learn firsthand through Wednesday’s release of “Fallout 76” what it means to be a West Virginian and what it’s like to live in the Mountain State – the beauty and the struggle, the identity and pride, the sacrifice and the joy. They’ll learn what it means to be a Mountaineer and why Mountaineers are always free. John Barton is a resident of Lincoln County, West Virginia, and runs 100 Days in Appalachia’s “Fallout 76” Reddit page. He and his wife, Christal, are the founders of WV Autism, a support group for the families of children with autism in the state.